Dave Chappelle is the greatest stand up comedian of all time and even Kevin Hart would agree with that. Thanks to that stature (and a long un-wanted hiatus) Chappelle hosted Saturday Night Live to some legendary performances and monologues. 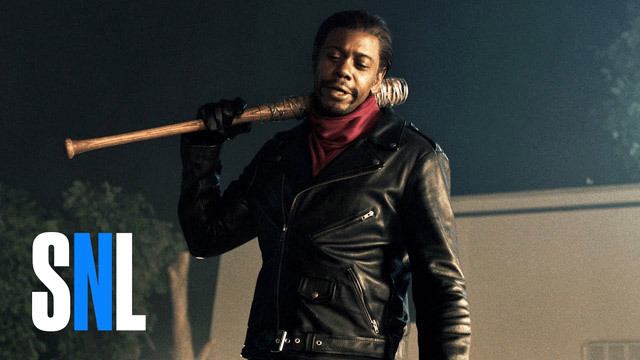 One of the highlights of the show was Chappelle tying in his Chappelle show characters to the brutal and well-known The Walking Dead scene with Negan and his infamous bat Lucille. Dave Chappelle not only killed his performances that we had missed for quite some time now, but he also made one of the greatest Saturday Night Live shows in history as this episode and skit went more than viral over last night. The show also featured the likes of Dave Chappelle stand up, and surprise appearances by other comedic legends like Chris Rock. While the show is far too long to even post on this, be sure to check out Saturday Night Live, to catch every single one of the best moments you missed and won’t want to miss again. 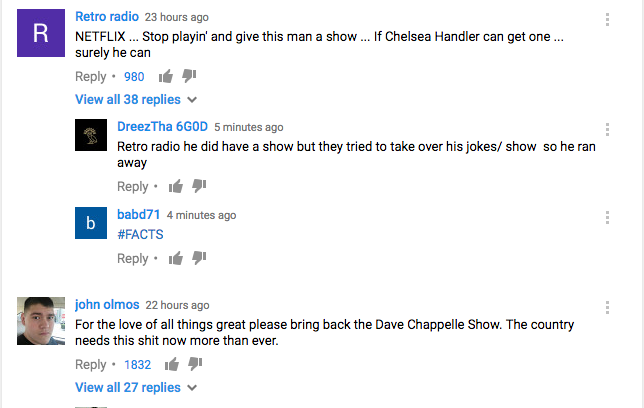 After a successful return like this one, the only true question is, when and can we please get some more Dave Chappelle? Make sure to see the best Dave Chappelle moments from Saturday Night Live. Scarlett Johansson’s Ghost In The Shell Trailer Released!